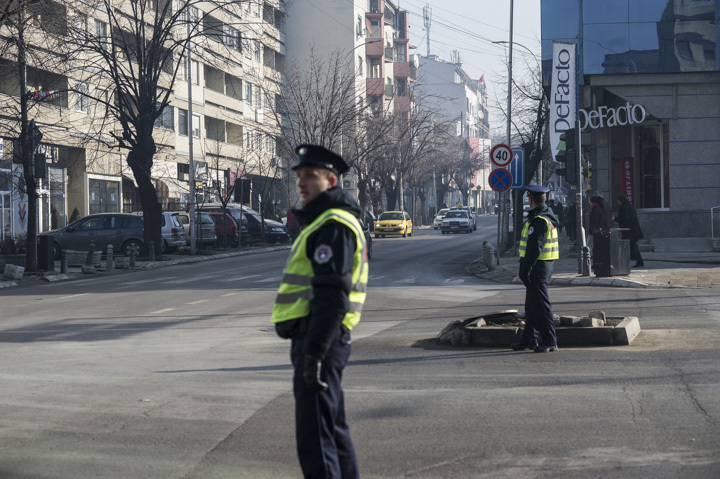 Photo gallery: In response to hazardous levels of air pollution, Prishtina adopts emergency measures to stop vehicular traffic in the city center. 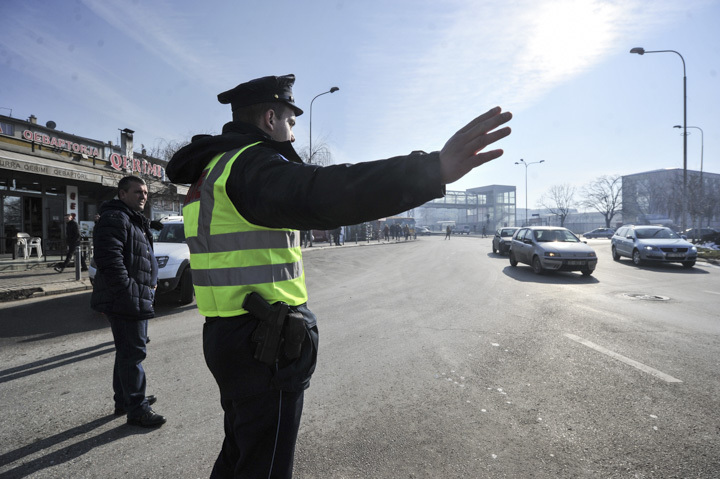 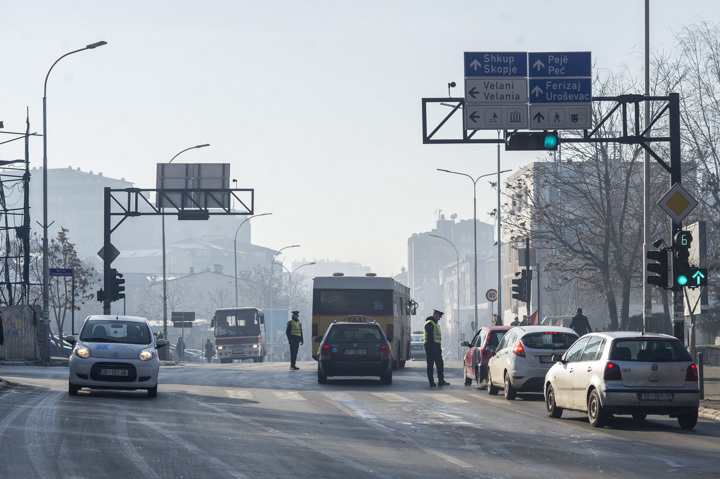 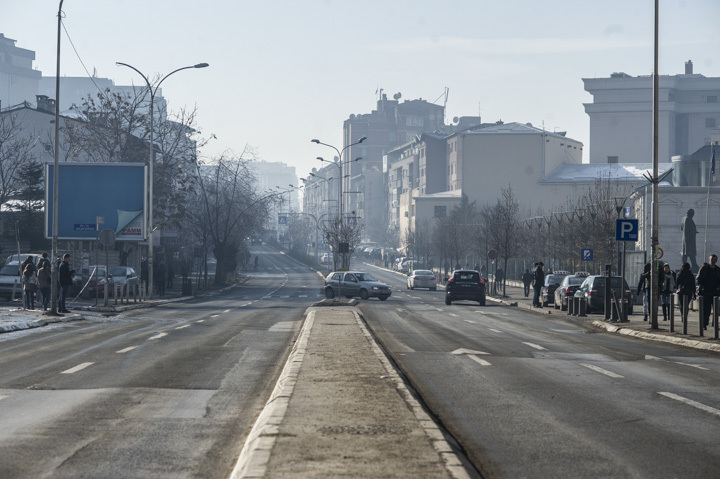 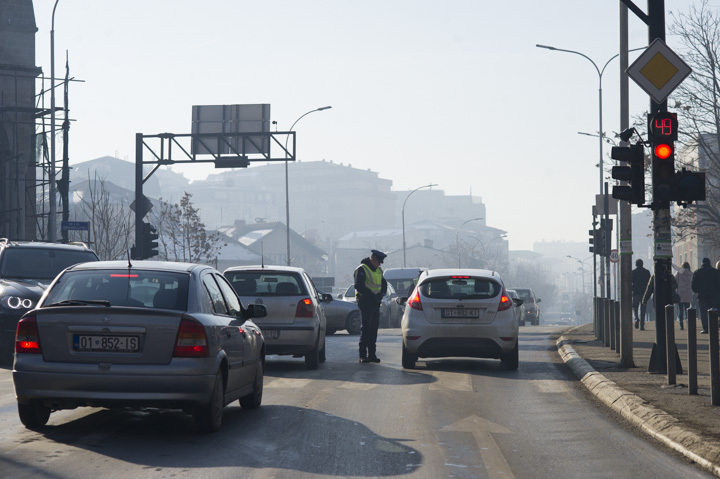 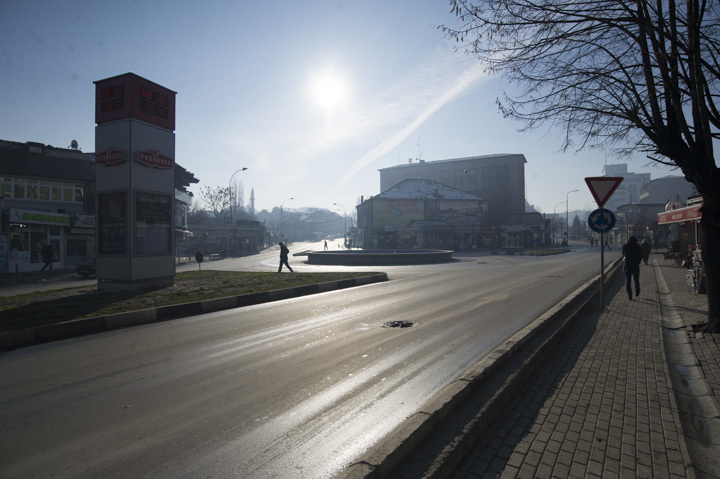 Emergency measures to combat pollution came into effect at 6:00 am today in Prishtina, with private vehicular traffic barred from the city center the sale of coal banned within city limits until further notice. 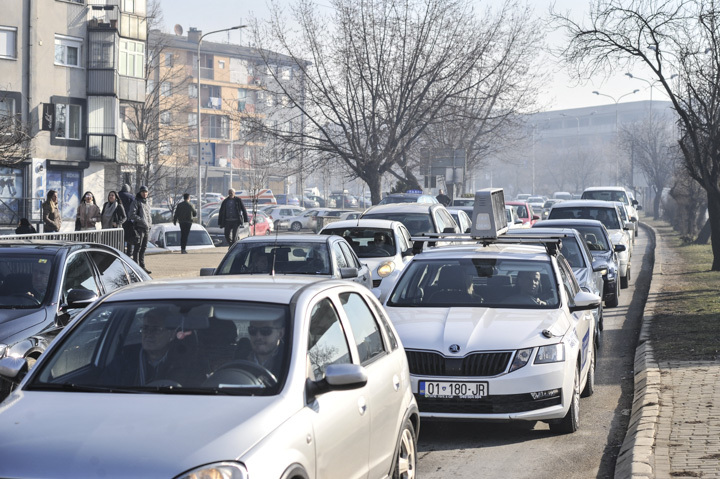 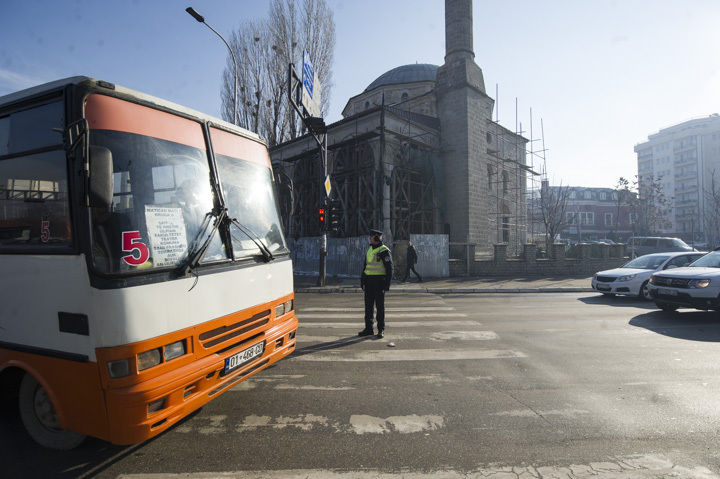 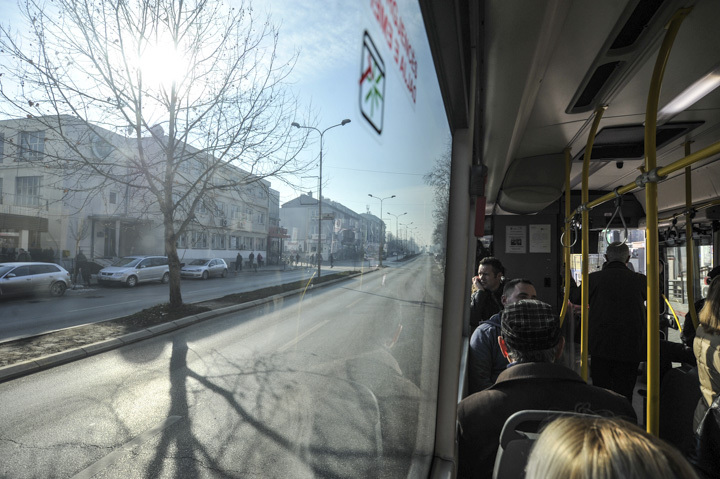 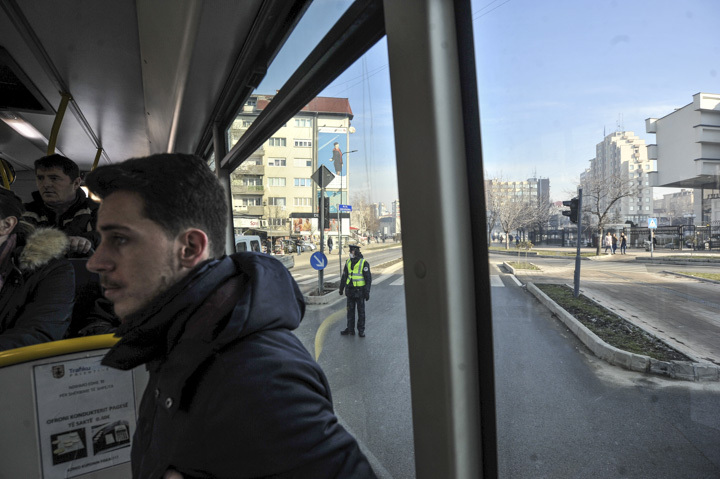 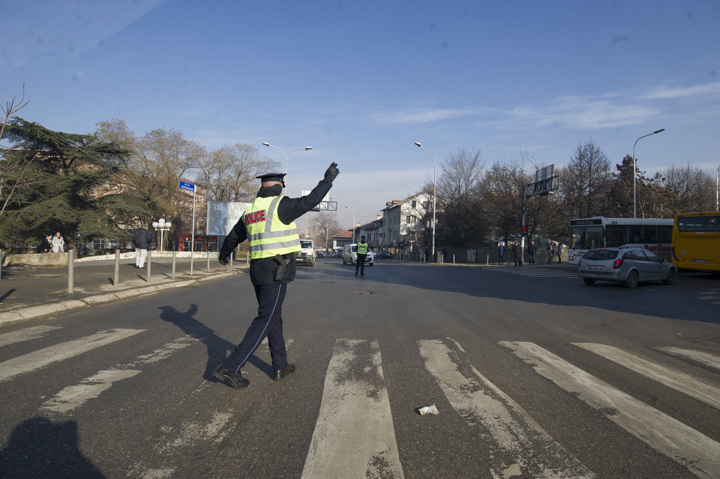 The measures, announced yesterday by the Municipality of Prishtina, include a limitation of vehicular traffic in the city center and the main central boulevards, starting from the roundabout in Ulpiana all the way to the old town. 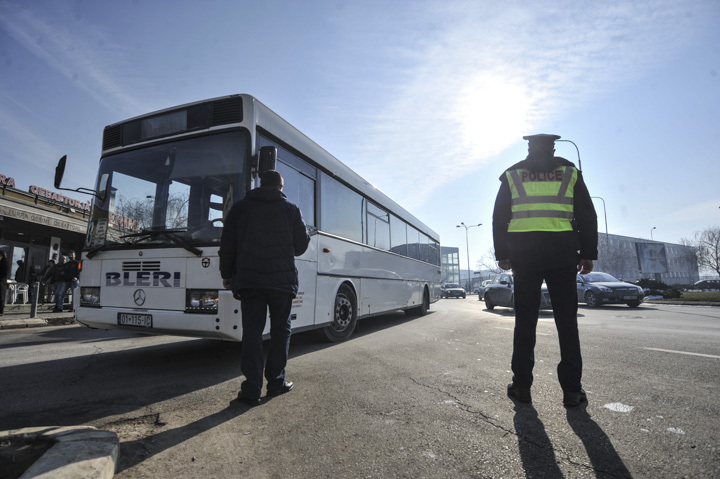 The ban does not include public buses, cabs, emergency transportation or police vehicles. 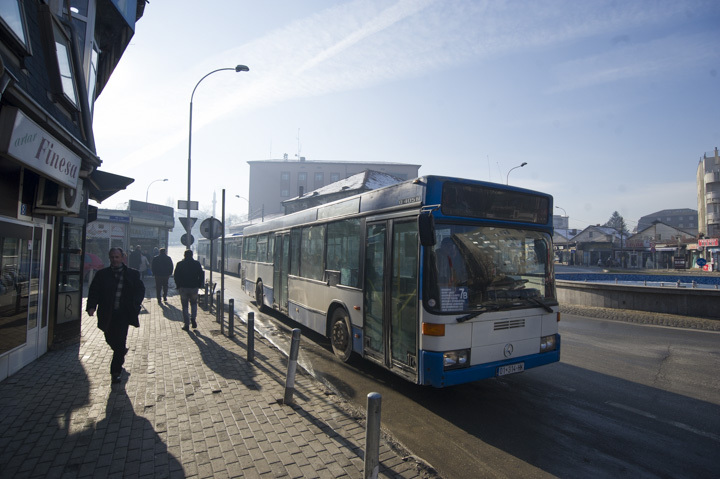 Furthermore, the city decided that the 30 buses under the management of the city’s public enterprise will be providing transport for free. 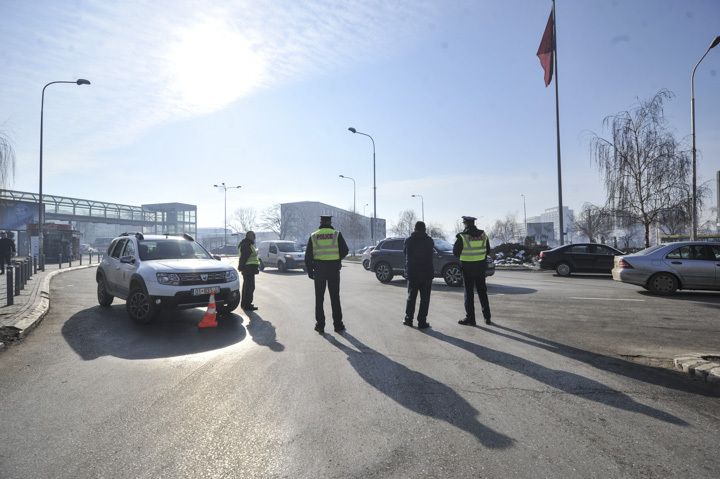 Earlier today, police were positioned at main cut-off points, forcing cars to take detours as commuters tried to get to work.